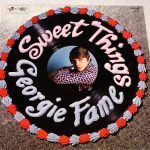 GEORGIE FAME Sweet Things, 1966, entire A-side. GARY WALKER & THE RAIN “1”, 1968: choice tracks. GRAHAM BOND + THE GRAHAM BOND ORGANISATION: The Mighty, 1969 (choice tracks) + The Sounds of ‘65 (1965, entire side 1). 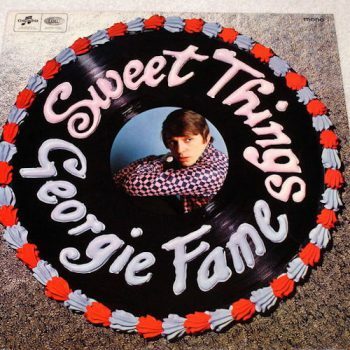 GEORGIE FAME Sweet Things, 1966, entire B-side. THE GOLDEN EARRINGS Winter Harvest, 1967: choice tracks. AND ALSO Joe Cocker + WORD & FREE SPEECH & POETRY / WOORD : Adrian Henri and Andy Roberts: Tonight At Noon + Hippies In Nederland + Llibertat presos politics! + Paul Robeson. LED ZEPPELIN Led Zeppelin II, entire A-side, 1969. 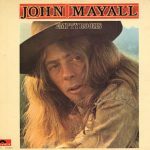 JOHN MAYALL Empty Rooms, 1969, entire A-side. LED ZEPPELIN Led Zeppelin II, entire B-side, 1969. CREAM Wheels Of Fire, 1968, LP2, side C (Live in San Francisco, March, 1968). SHOCKING BLUE At Home, LP, 1969: choice tracks. LOVE, PEACE & UNDERSTANDING Sandy Posey: I Take It Back. HOMAGE TO CATALUNYA Eurogrup canta Allen Toussaint + James Brown (I’ll Go Crazy) en Català. WORD & FREE SPEECH & POETRY Dolly Birds and Mini-skirts, Jim Hightower, John Mayall. Review by Dave Thompson on www.allmusic.com All Rights Reserved.